Getting a civil annulment of a marriage is usually a much simpler process than divorce but there are requirements. This article will explain who qualifies and what is necessary to obtain an annulment. What is an Annulment? How is it Different from Divorce? An annulment is a legal process where a court of law cancels or invalidates a marriage agreement. An annulment of a marriage is not the same as a divorce in that it actually voids the marriage. When a marriage is annulled it is as though the marriage never took place. A divorce terminates or ends a marriage but does not change the fact that the marriage legally existed. A legal separation also differs from an annulment since the parties are still legally married during such an agreement and does not change their status. There are a number of reasons why this distinction is important but you should note that not every marriage can actually be annulled. You cannot just choose annulment to escape a normal marriage or avoid a divorce – it is an emergency procedure put in place to protect those who really shouldn’t have been married in the first place. Most annulments usually take place soon after a marriage, which results in a quicker process since there aren’t many assets or other issues to resolve. When is Annulment Available to Dissolve a Marriage? The innocent party didn’t understand that they were getting married because they were intoxicated, mentally ill, under the influence of drugs or medication. One party could not make a free choice such a woman threatened with physical harm to themselves, a child or family if they did not marry. One party deceived the other person into marriage solely for the purpose of obtaining citizenship. One party did not know that the other was not physically able to perform within the expectations of a marriage, the other party was unable to maintain a sexual relationship or was impotent and unable to have children. A party to the marriage was under the legal age of marriage and there was no parental consent. One party concealed important issues such as important health concerns such as being HIV positive or having another serious infectious disease. The person performing the marriage was not licensed or some other significant legal requirement was not met. One party was married at the time of the marriage. The parties are too closely related to be married, such as brother and sister or parent and child. Are there Time Limits for Getting an Annulment? The time period after a marriage when an annulment can be granted by a court is not necessarily time based although specific rules may vary based upon the annulment laws of each state. For example, after a minor has reached the legal age of consent, he or she may only have a few years after that time to apply to the court for an annulment. Where Do I Get an Annulment? In most cases, the county where you live is the place where you should begin annulment proceedings. In most states and countries there are residency requirements before you can begin the process of getting an annulment. You will need to check with a family lawyer, divorce lawyer or your local court to determine the amount of time you must live within a jurisdiction before you can begin the annulment process. If you are planning to move out of a jurisdiction where you meet the residency requirements, you should probably file for an annulment before moving. You may also be able to file for an annulment in the county where your marriage took place. Many people go to Nevada for a quick wedding and, as a result, are well acquainted with the annulment process there due to the demand. 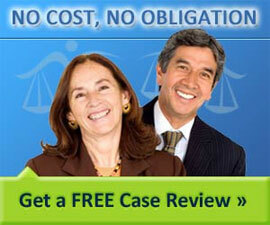 Understand divorce filing options - (1) no-fault , (2) fault-based (adultery, etc.) and (3) separation based - state law and grounds for divorce. Understanding the difference between fault divorce and no fault divorce. A chart of what each state law requires to get a no-fault divorce.